Common indoor activities such as bathing, cooking or just keeping several indoor plants can have an effect on your indoor humidity levels. There are several ways that you can keep indoor humidity at a comfortable level. Turning the range hood on when you cook is one, opening your windows for at least 15 minutes a day cycles stale, humid air out and allows fresh air in. A properly-sized and maintained HVAC system is an effective dehumidifier without needing to install additional equipment. The roofing structure is mostly made of wood. Therefore, increased moisture levels can have a detrimental effect. If water condenses in areas where insulation is installed, it defeats the insulation layer by encouraging heat conduction through moisture droplets that form within it. The increased moisture levels can also lead to wood rot and rust. Moisture and warm air can get trapped in the attic and can cause the most damage. It’s important to remember that roofing structure is exposed to both attic and outdoor temperatures. Extreme temperature differences can warp the roof deck and underlying structure, and the increased moisture in the attic can make the wood more pliable, and therefore susceptible to warping. If not addressed, this can lead to a permanently crooked roof. Assuming that you already have indoor humidity reined in, preventing water intrusion should be your main focus. 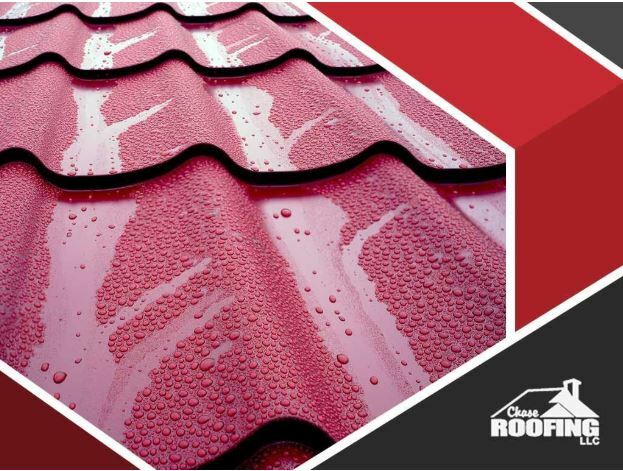 It starts with investing in a properly-designed roofing system: one that includes an effective waterproofing barrier. Potential causes such as clogged gutters should also be looked into. The roofing system should also have the means to encourage airflow through ridge vents. Since warm, moist air tends to rise, ridge vents can effectively release unwanted moisture into the air. The resulting air pressure pulls fresh air through the soffit area, keeping the moisture in the attic within ideal levels. To learn more about our roofing services, call Chase Roofing LLC today at (757) 333-0052. You can also fill out our contact form to schedule a free no-obligation quote. We serve Yorktown, VA, and the surrounding areas.